A survey was carried out in Bulgaria to determine the presence of free-living amoebae (FLA) from environmental sources. In 171 (61.1%) of 280 samples, isolates of Acanthamoeba with group II or III morphology, as well as Hartmannella spp. were recovered. Five isolates named “6” (artificial lake), Ep (lake), G2 (soil), R4* (river) and PK (spring water)—all exhibiting a highly efficient proliferation in axenic cultures—were subsequently cloned and subjected to molecular analyses for identification and genotyping In accordance with morphological findings, PCR-based analyses identified four isolates (6, Ep, G2, R4*) belonging to the genus Acanthamoeba. Confirmation of these findings was obtained by phylogenetic analysis using partial sequencing of the 18S rDNA (ASA.S1) Acanthamoeba-gene. Comparison of these sequences with corresponding regions from other Acanthamoeba strains available from GenBank sorted all four isolates into the sequence type group T4 that contains most of the pathogenic Acanthamoeba strains already identified. The fifth isolate (PK) exhibited morphological characteristics matching those of Hartmannella, and scored negative in the Naegleria fowleri and Acanthamoeba PCRs. This work was supported by the Swiss National Science Foundation (SCOPES No. 7IP062584), the Federal Office For Civil Protection and by the “Gesellschaft zur Ober Gerwern”, Berne. 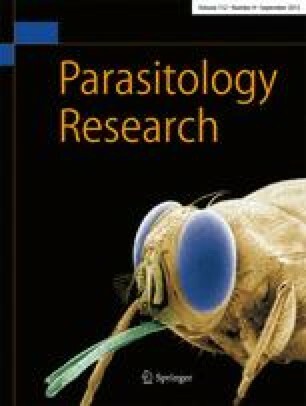 We would like to thank Prof. Andrew Hemphill from the Institute of Parasitology, University of Berne, Berne, Switzerland for his help in microscopy of the amoebae and Dr. Rolf Michel from the Central Institute of the Federal Armed Forces Medical Services, Koblenz, Germany for providing the strains 72/2, Pb40, De610 and Rhodos. We are indebted to Dr. Nadia Schürch and Dr. Martin Schütz from the Spiez Laboratory for their valuable support and logistic contribution to the work.